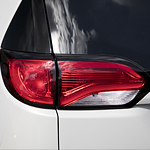 The Chrysler Pacifica is equipped with features that make the process of traveling with many passengers easier. If you need an automobile that has practical and convenient features, the Pacifica is a great choice. You are special, and you deserve to drive a truck that is special. 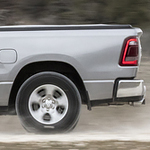 The capability of the vehicle that you drive matters to you, and you should learn more about the capability features of the popular light duty Ram 1500 truck. There is technology that is part of the Ram 1500 that helps with the towing work that you are planning on doing with this truck. This truck is more than just strong when it comes to your towing needs, it has cameras and other technology that it can use to help you tow a large load with confidence. How Much Space is in the Chrysler Pacifica? As Chrysler’s entry into the minivan market, the Pacifica stacks up well against its competitors in the area of interior space. Most families choose a minivan for its ability to act as a passenger carrier and a cargo hauler. The Chrysler Pacifica has plenty of space for either activity. Drivers love the all new Jeep Cherokee. The fresh redesign shows off sharper headlamps, rugged lines, and aerodynamic curves, as well as a fresh take on the body and wheel kits. 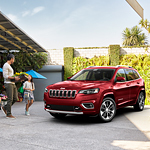 Whether you want to go with the basic grill or you want to upgrade to a chrome trim, it’s all there with the latest Cherokee exterior features. The Sport Utility vehicle is not noted for its fuel efficiency. Such automobiles are often seen as the realm of the soccer mom or the outdoor adventurer. While they may not be seen as an everyday vehicle by people who do not own, they are certainly used this way. Rather than argue about the perception, a Dodge Durango wants to know how fuel efficient the car can be. 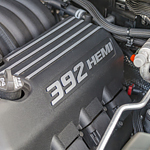 At DARCARS Chrysler Jeep of Waldorf, our team takes the time to research our models carefully to provide our consumers with detailed information. 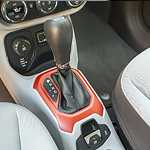 The Jeep Renegade is a popular subcompact SUV at our dealership because it provides consumers with a number of features in the cabin that enhance convenience and entertainment. The Jeep Wrangler is one of the more popular vehicles seen on the roadways of Waldorf. There are a number of important reasons why the Jeep Wrangler is widely driven not only in Maryland, but across the United States. The Jeep Wrangler safety features are key reasons why this is the case. 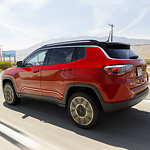 The Jeep Compass is a popular compact SUV that's built for the road less traveled. Every detail is engineered with capability and performance in mind. Inclines and obstacles are no match for the Compass thanks to its ground clearance and protection. 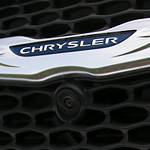 We here at DARCARS Chrysler Jeep of Waldorf are excited to show you what this SUV is all about. In the Ram ProMaster, you can rest easy knowing that you and your equipment are safe. 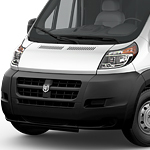 This popular cargo van has a number of great safety features. It's built to help you maintain control on the road no matter where the job takes you. We here at DARCARS Chrysler Jeep of Waldorf are excited to show you all that this van has to offer.